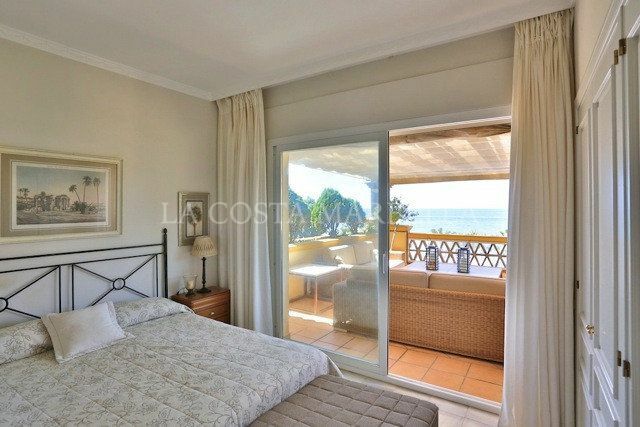 Beachfront in Rio Real, with the Mediterranean Sea in front and in full view from the large terrace: spacious duplex apartment with private access to the beach and at just steps away from the distinguished Trocadero restaurant. 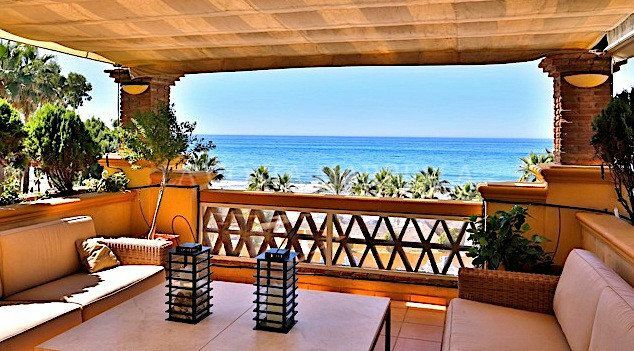 Decorated with timeless elegance, the property offers true luxury by the sea. 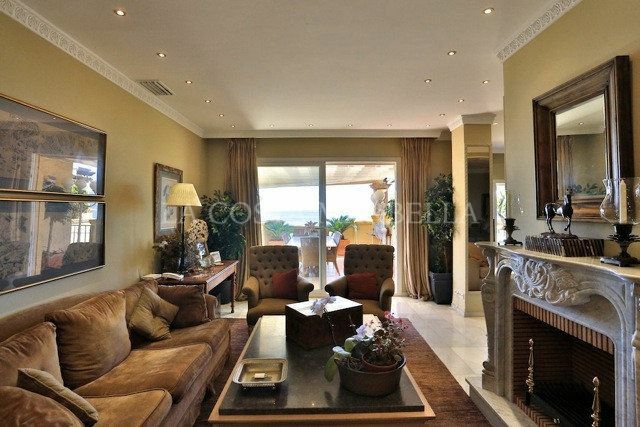 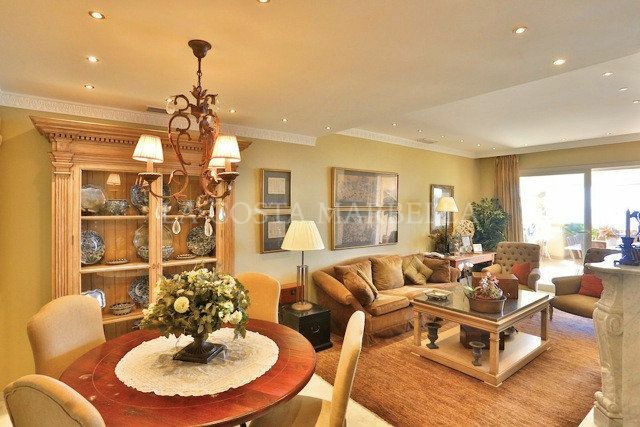 Large double living room, big kitchen with dining room, five bedrooms, four of them en-suite, service room, four bathrooms and guest toilet and bathroom. 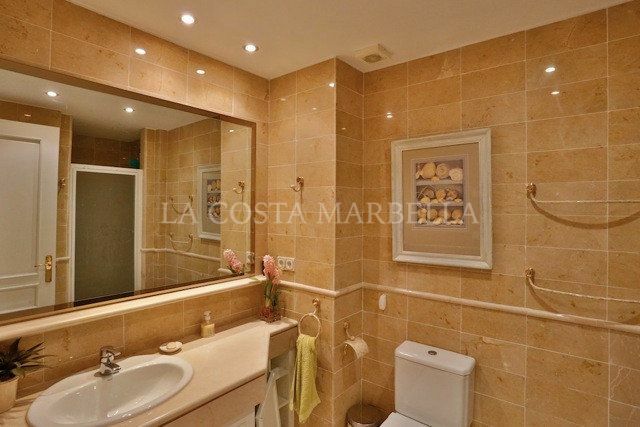 It is sold with two parking spaces, two storage rooms and it is ready to be inhabited. 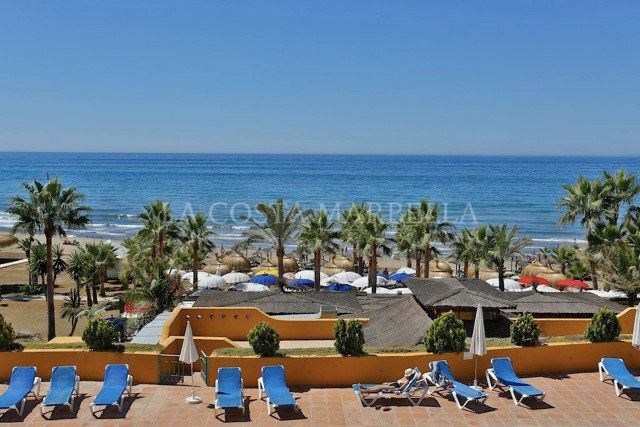 Located in a first line beach luxury urbanization with two heated swimming pools, private access to the beach, a select beach club and the famous Trocadero restaurant. 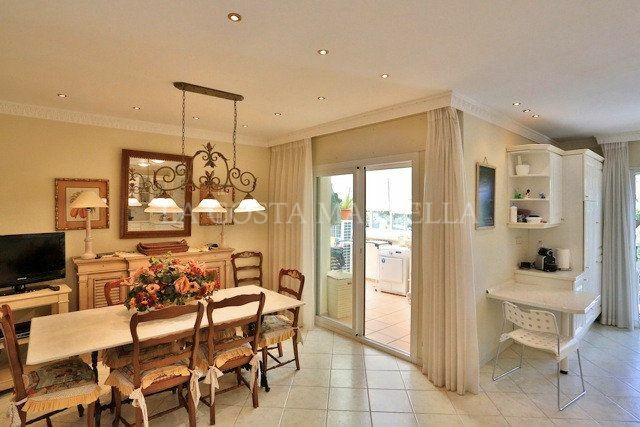 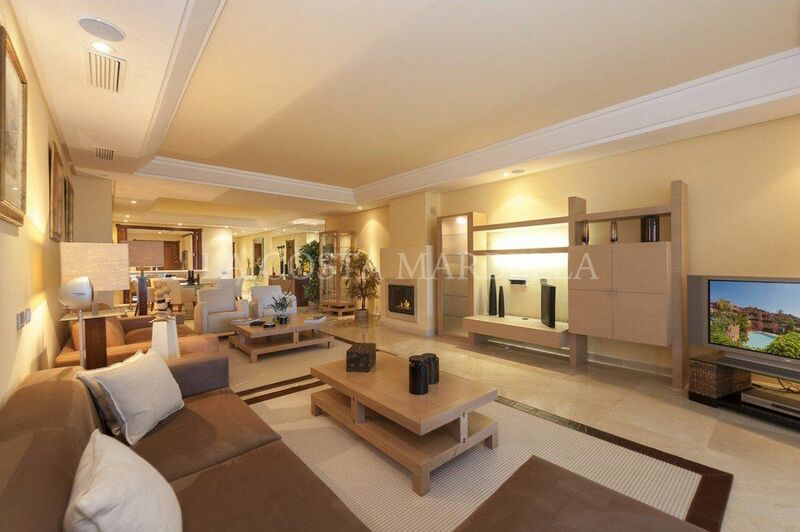 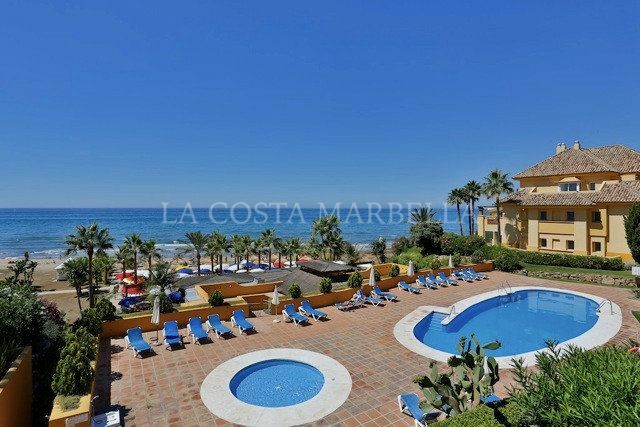 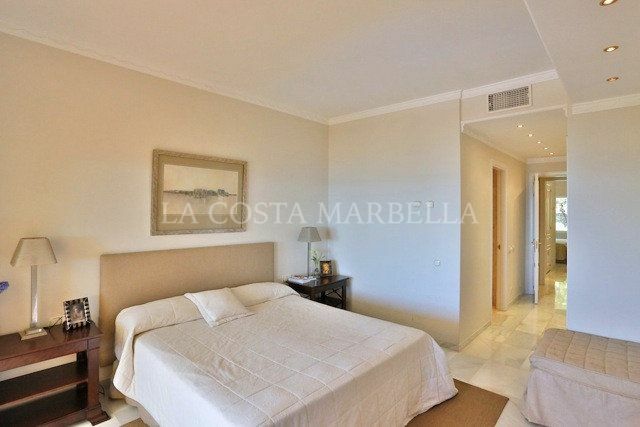 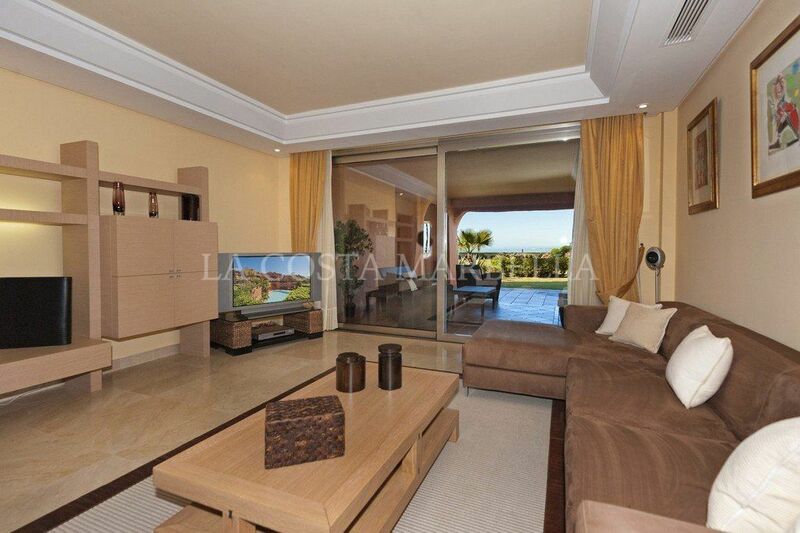 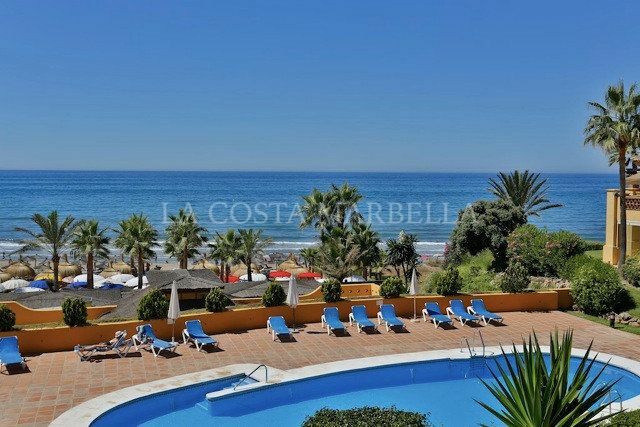 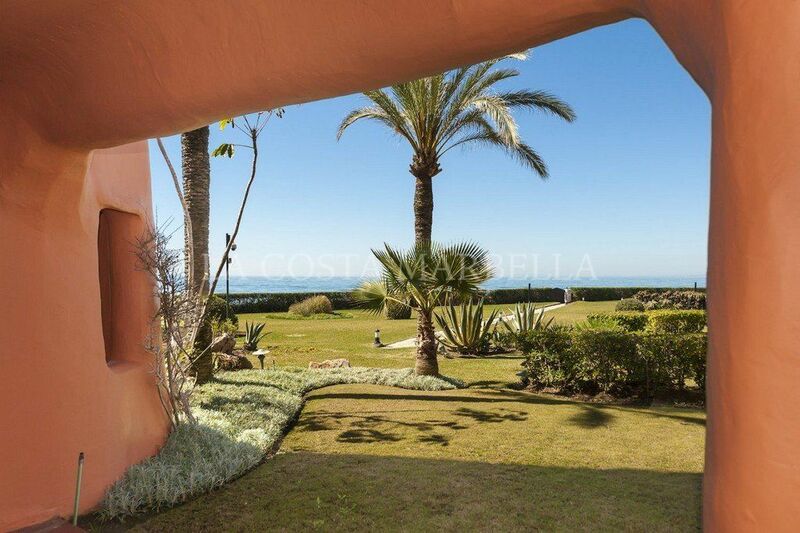 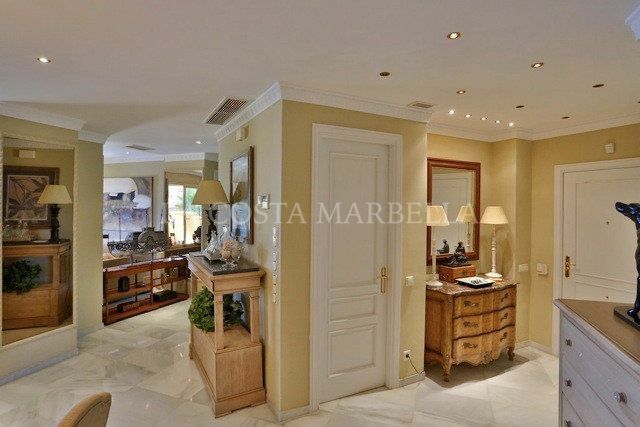 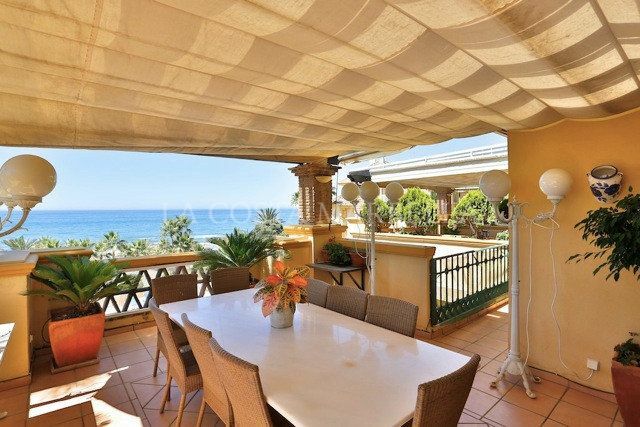 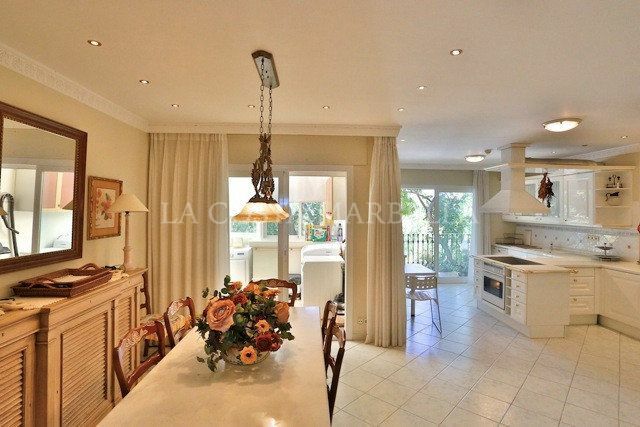 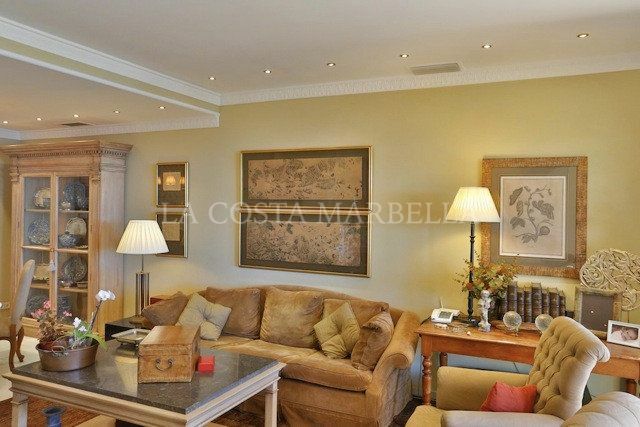 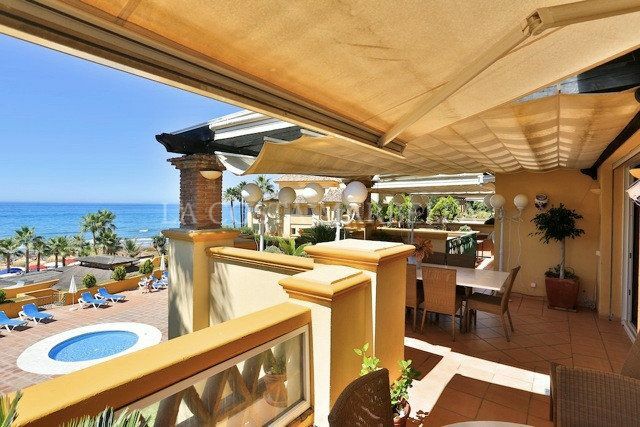 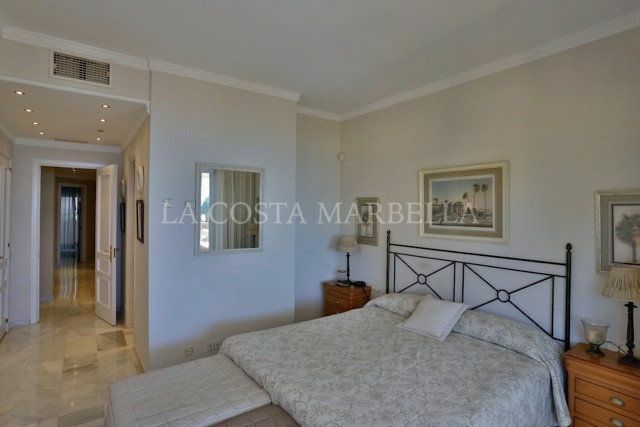 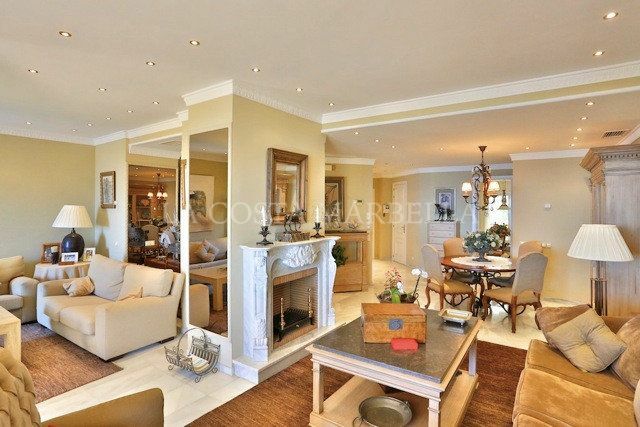 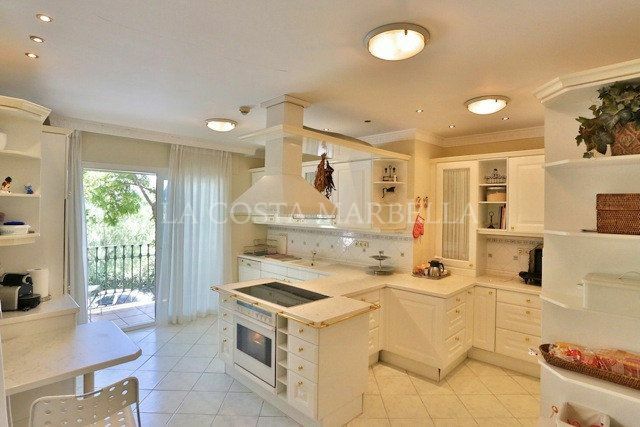 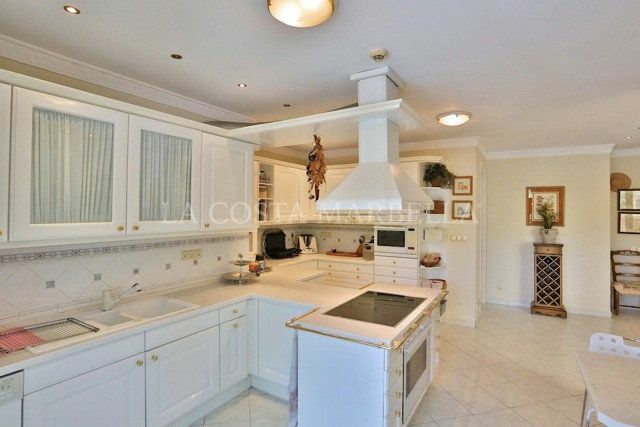 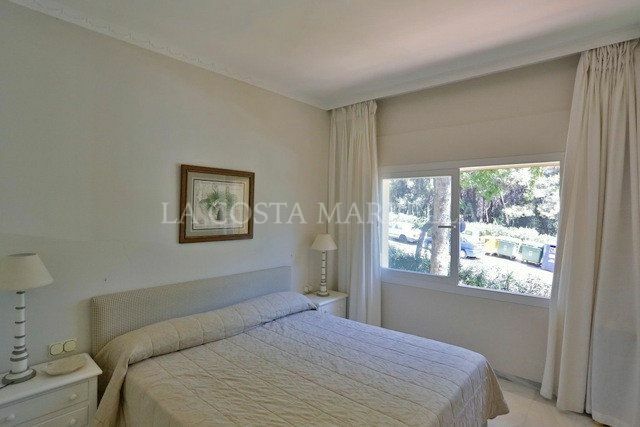 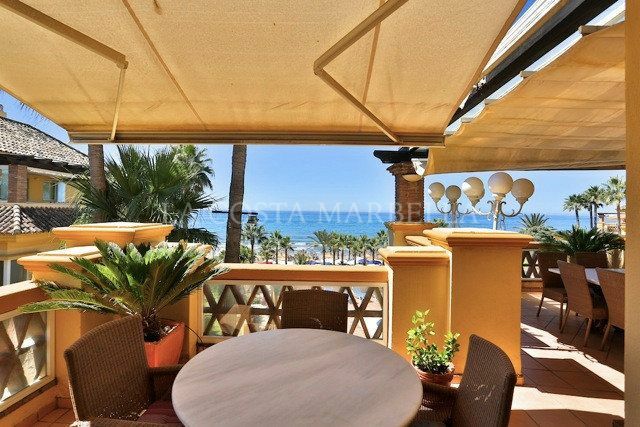 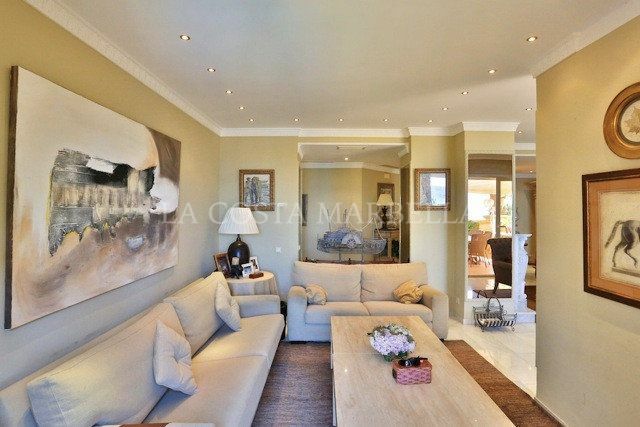 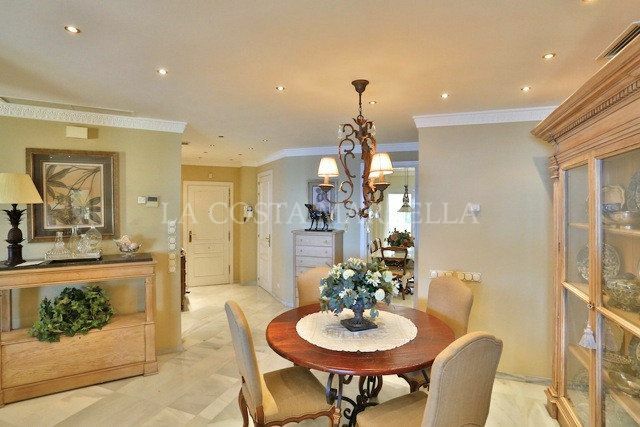 Please, send me more information about ref M353011, Apartment in Rio Real, Marbella East or similar properties.